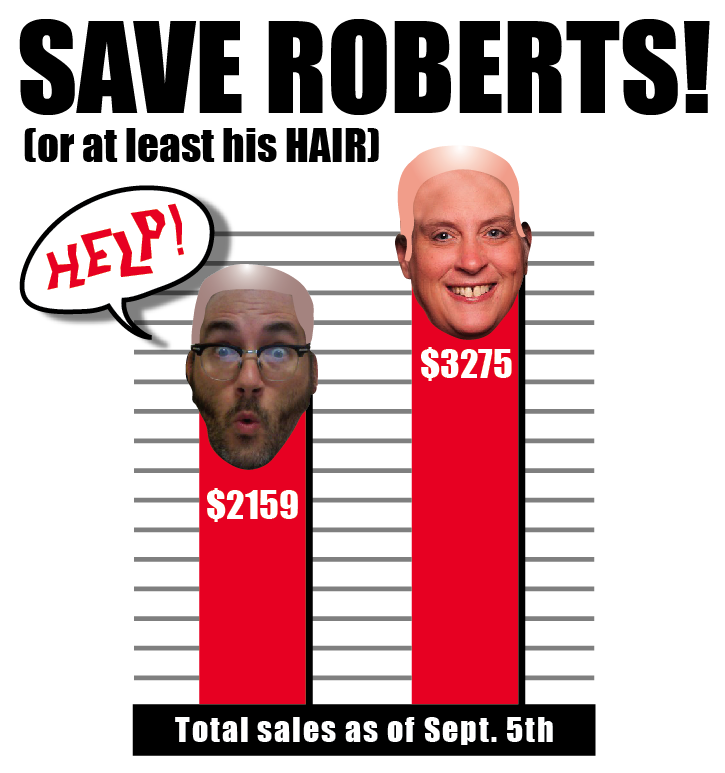 The 3rd turn in day was last Thursday (out of 5 turn in days) and my class has fallen woefully behind my 'hair shaving' rival by a whopping $1100! Special thanks to my friends online who have helped out by getting magazines for themselves so far! The competition is heating up in the Beech Magazine Fundraiser. As you may recall, Miss Patterson and I have a little competition going that whoever's class raises the least amount of money, that teacher has to shave their head in front of the entire school. Not sure what I was thinking taking this little wager, but here I am. There are 2 more big turn in days between now and the end of the Magazine drive. Our next turn in day is this Wednesday, September 11th. The final day is Wednesday, Sept 18th. With YOUR help, I can still pull this thing off! Go online and buy magazines! These are alot of the publications you're likely to buy anyway. Buy some for yourself, buy a few for friends, get some for your kids, buy one for your doctor or dentist's office. No janky off-brand mags here, these are all legit magazines you've heard of and read. 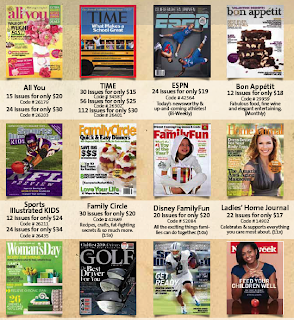 TIME, Sports Illustrated, Good Housekeeping, Reader's Digest, Entertainment Weekly and a TON MORE! A publication for every interest, kids and adults alike! That's the code for BEECH HIGH SCHOOL. When it asks you the name of the student you want to give the sale to, tell it "Albert Roberts", That's me! I know I'm not a student, but it counts toward my class this way.